Eye's lens focusing mechanism. 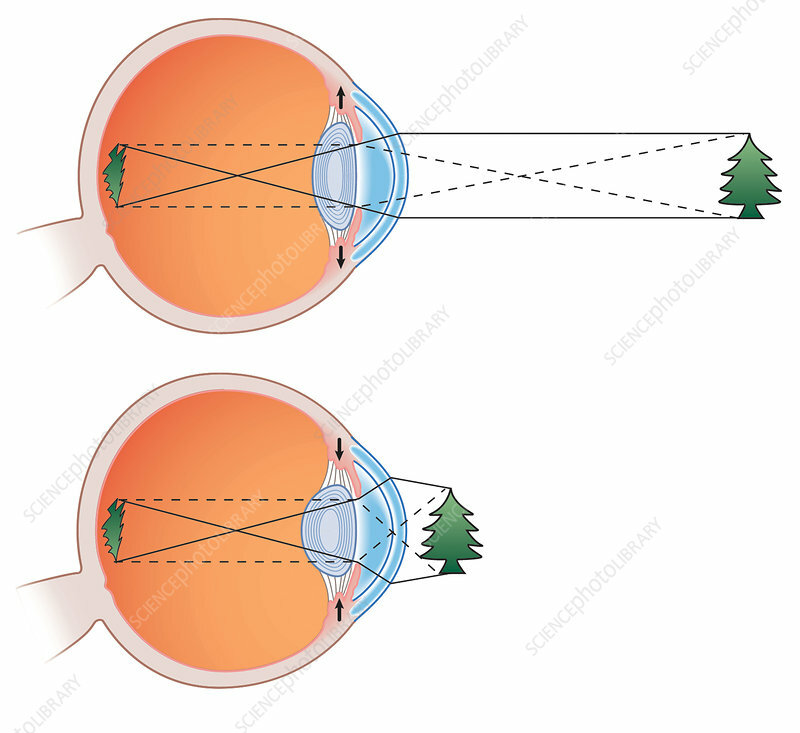 Artwork showing how focusing on near and far objects is done by relaxing or contracting the muscles and ligaments controlling the lens of the eye. A thin lens (top) can focus on distant objects, while a thicker lens (bottom) can focus on near objects.